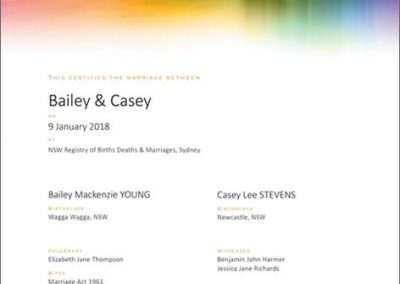 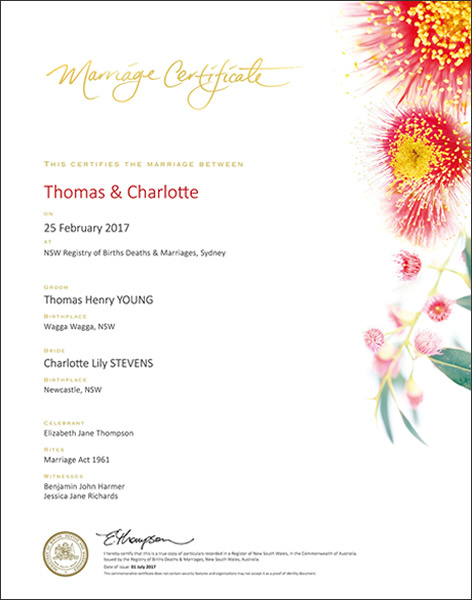 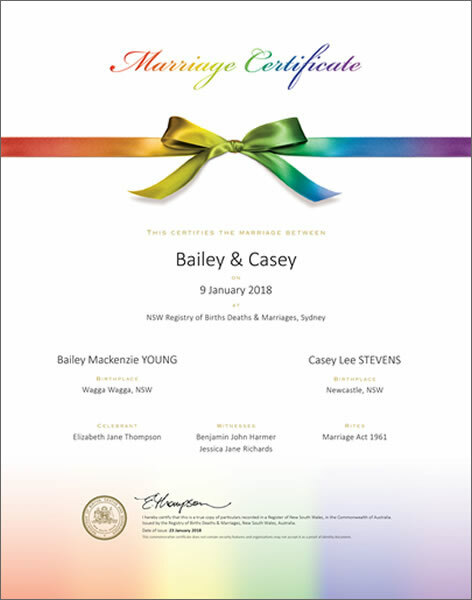 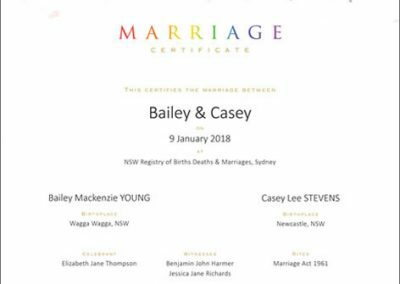 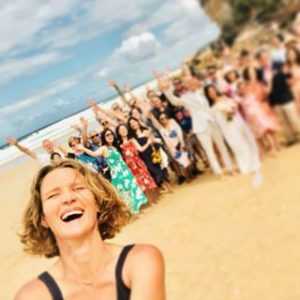 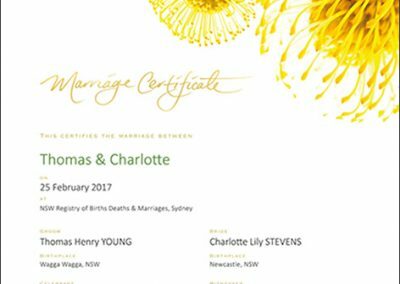 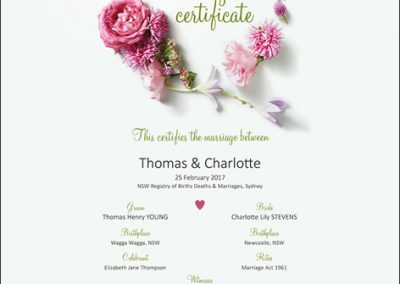 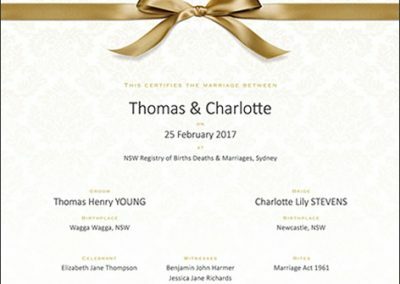 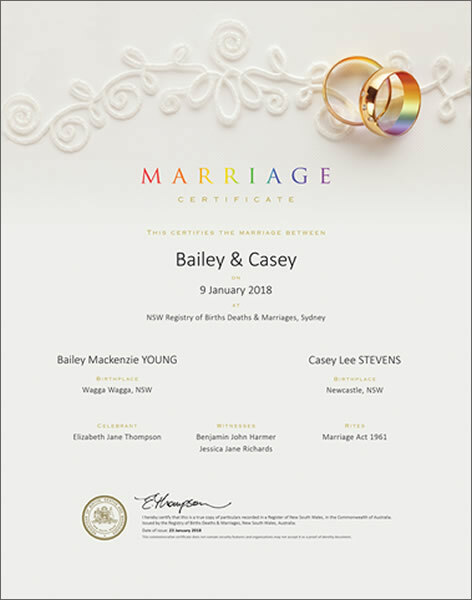 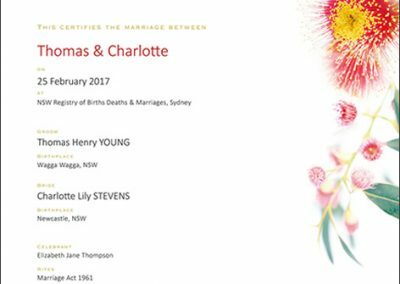 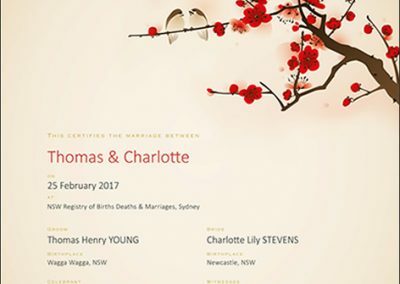 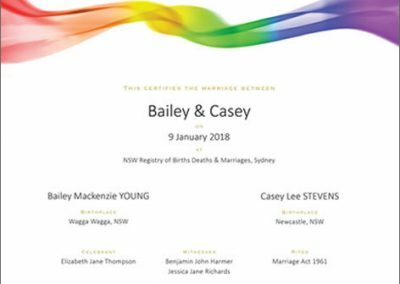 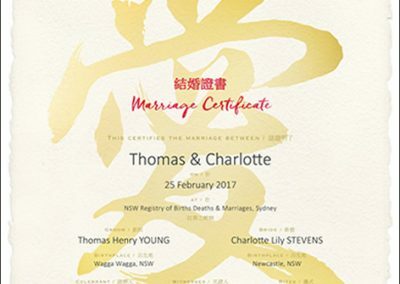 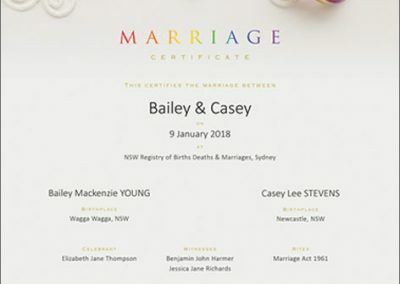 When your marriage is registered in NSW, it is possible to be issued not only with the standard legal Marriage Certificate but also a commemorative version. 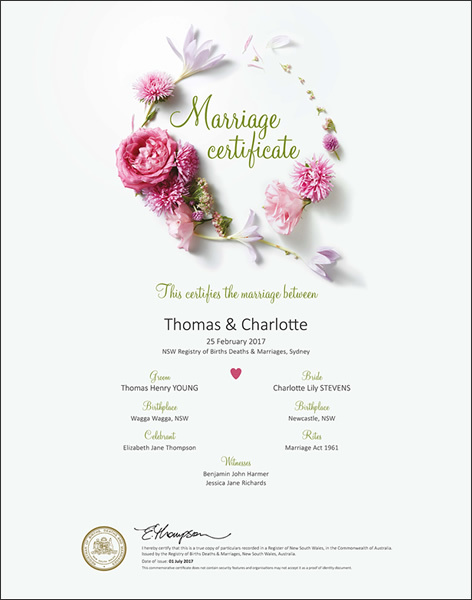 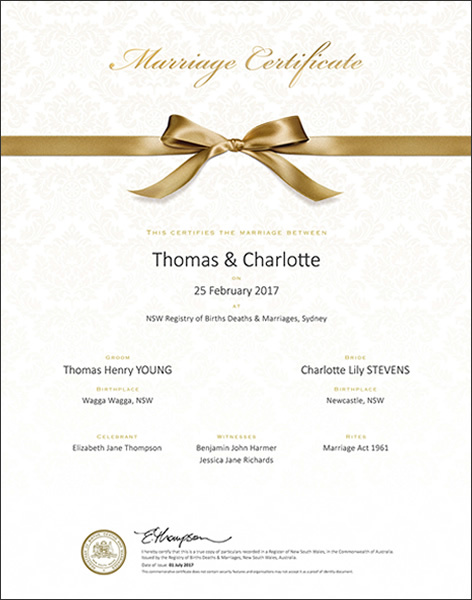 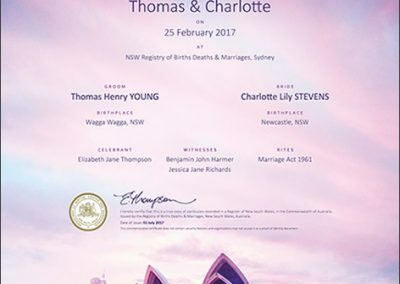 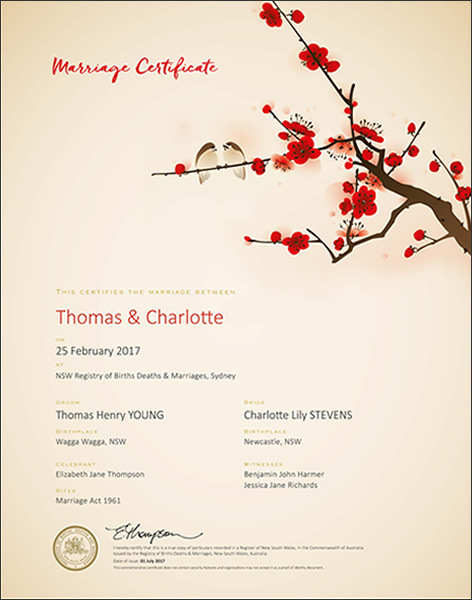 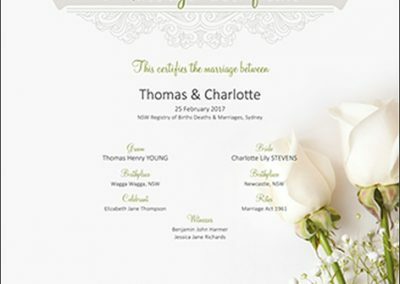 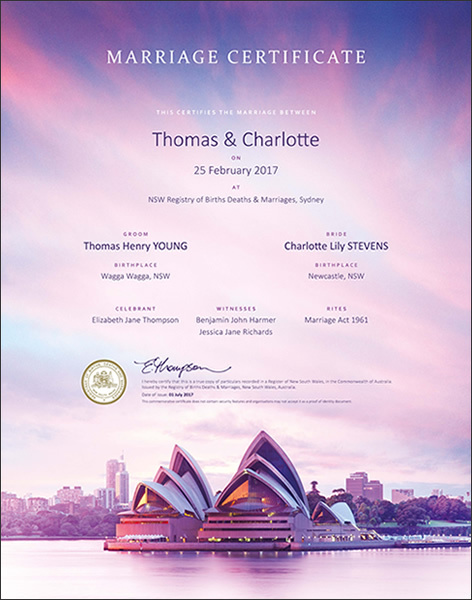 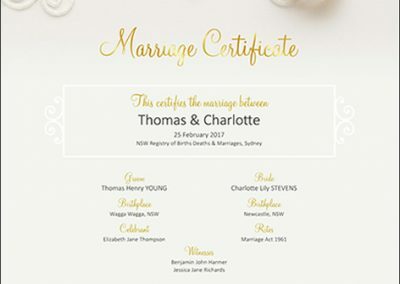 These commemorative certificates are available in a number of beautiful designs and look great when framed and displayed as a reminder of your big day. 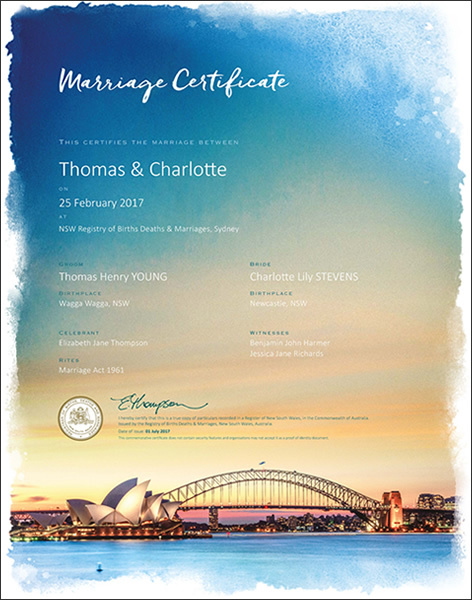 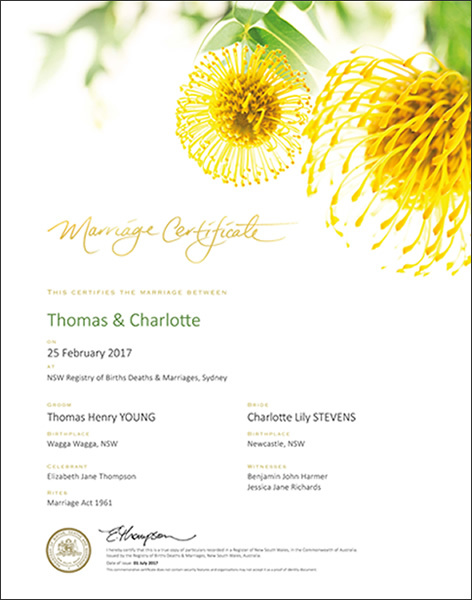 Note that these are only for decorative purposes – only the standard Marriage Certificate is accepted by organisations as proof of identity. 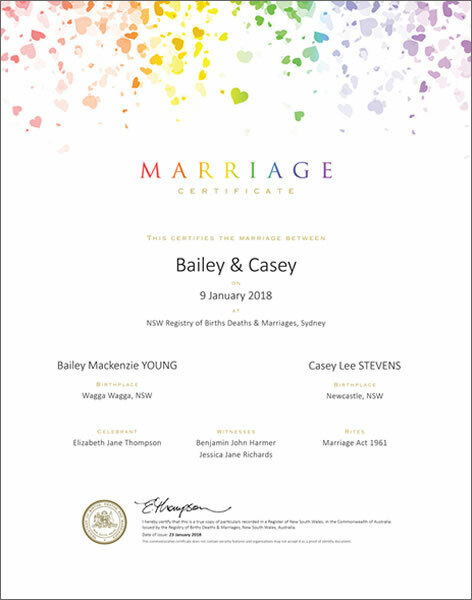 That’s why I’d always recommend ordering the legal certificate (currently $58) and if you want something nicer to display, then additionally order a commemorative certificate. 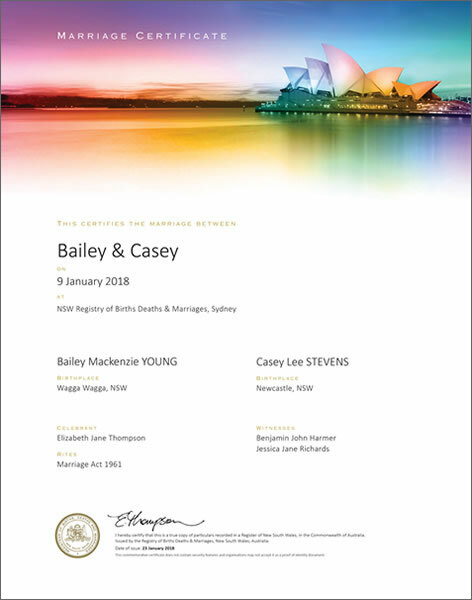 Ordered together, the cost for both certificates is $84. 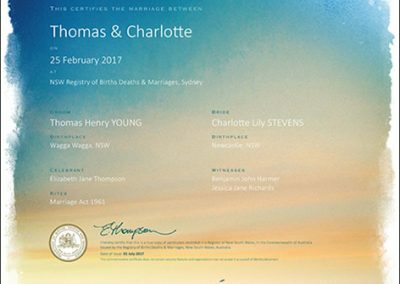 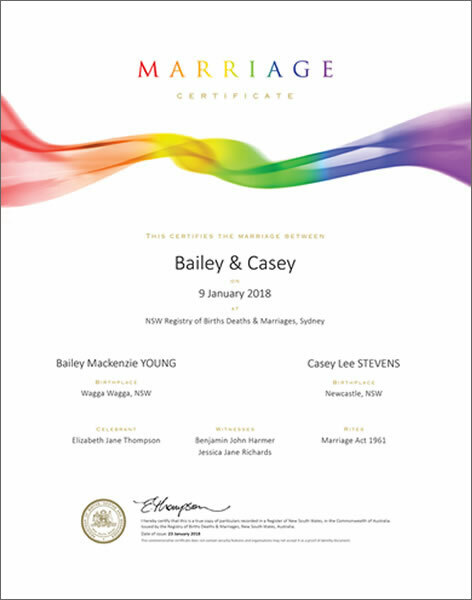 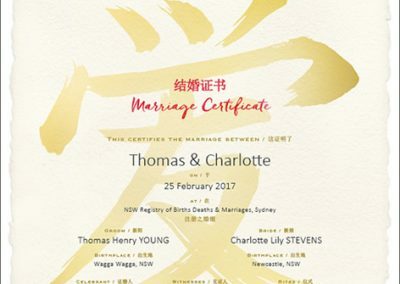 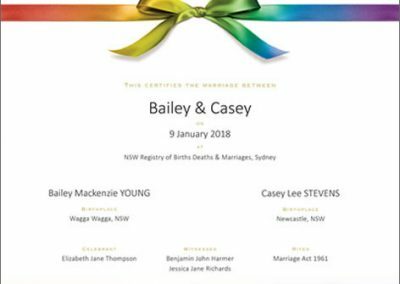 These do make beautiful wedding gifts for couples, but you do need to be aware if you intend to order a commemorative certificate on behalf of a couple that you will need to provide a signed consent form and multiple forms of ID for both yourself and the couple. 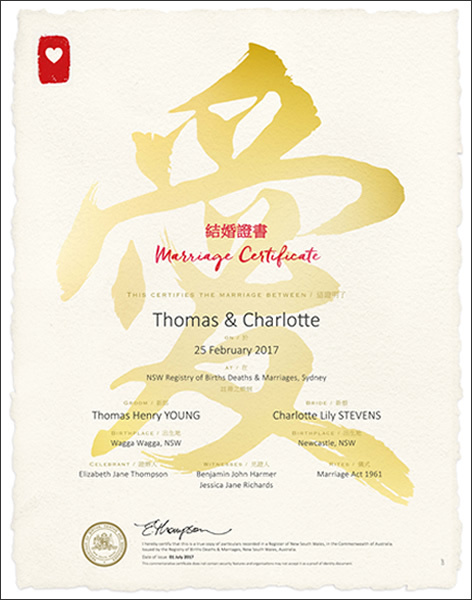 You can read more about this on BDM’s website. 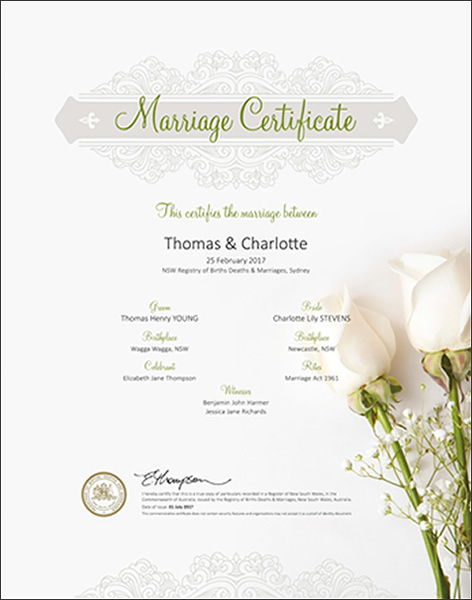 Whenever I provide a quote to a couple, I always provide a convenient option to order their legal certificate for them. 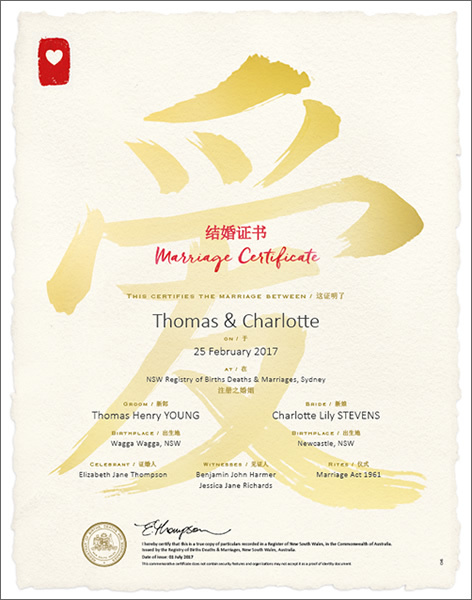 I am now extending this option to also offer the commemorative certificates in addition to the legal one. 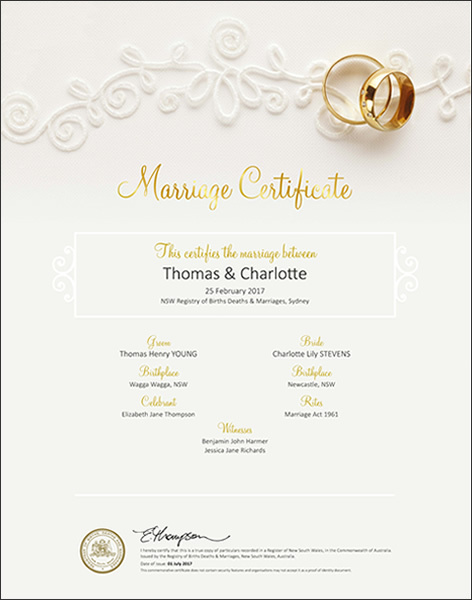 All you need to do is select the option in the quote provided and choose your preferred design.